The internet places at your disposal the ability to make money online. There are so many lucrative avenues for myriad talents: creative abilities, entrepreneurial flair or the ability to write or teach. In many cases it is possible to earn from home and be your own boss too, as you make a living online! Is your morning (and evening) commute the bane of your life? Do you frankly hate your boss? Are you out of a job; finding that good jobs are as scarce as hen’s teeth out there? Or are you an impoverished student who badly needs a cash influx? There are plenty of online job options that are suitable for people without fancy degrees, for students, people looking for jobs and also for those looking to supplement an existing income with a bit extra. The internet gives you a great variety of viable alternatives to actually make a living or to add to an existing income. Think of what you really want to do; honestly examine your abilities and talents to identify your niche. Now take a glance down this list to see if one or more of these ideas strikes a chord with you. Web, software and IT services: If you have training and/or experience in web design and development, programming, coding, creating web apps and services, you are probably the best equipped to work online. You can offer customized solutions on a freelance basis or contract/per job basis and get paid really well. You can take on domestic or foreign clients. Admin/secretarial support: Some of us are equipped with excellent secretarial skills or by nature happen to be better assistants and organizers than leaders. You can offer your services as a virtual assistant and provide secretarial support to someone in the UK while you are in India! Other administrative support jobs could include word processing or data entry, offering customer service and tech support, administrative assistance and much more. The best part? You can offer assistance to more than one individual or organization at a time and you don’t even have to see your ‘boss’ everyday! Design, art and multimedia: There are so many options available for the creatively inclined among us: design logos or websites, offer animation services, create customized artwork for a business, advertiser or marketer, and more. If you are trained in art or are otherwise creatively inclined, many avenues open up to you: in graphic design, creating scale models, branding, visualization, illustration for books or eBooks, even t-shirt designs and illustration! 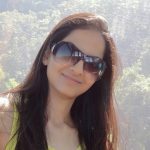 Writing and translation: Practically anyone with good language and articulation skills can do this: register with websites such as Guru.com, upwork.com, peopleperhour.com, icanlocalize.com, freelancer.com and many other such online freelancing services. You can become an article writer, website content provider, translator and more. List your skills and create a profile so that businesses can connect with you. You can sign up to receive updates when projects matching your skillsets are offered. Bid for a project, communicate with the client or employer and get hired. Depending upon which service you use, you pay a flat membership fee or have a part of your earnings deducted before being paid by the client. Writing an eBook: Have a book in you? Self publish! You can publish on Amazon or read up more about how to publish eBooks: where you can learn about creating eBook files, color or multimedia eBooks, choosing eBook distributors or retailers, sales and marketing as well as about getting reviews and social media strategies. The above mentioned and other freelancing websites also have projects that require eBook writing (these may be ghostwriting projects but in some cases, you may be able to use a byline). Buy and sell things online: Do you knit or embroider well? Do you have or create interesting and unusual things that could interest others? Do you source handlooms or native craft from a place to sell elsewhere? Do you have an actual shop that you want to expand the reach of? For these and a thousand other scenarios, you can become an online retailer. Sell via Amazon, eBay or Flipkart. Create your own ecommerce website or simply create a Facebook page to get started. You can become successful and make a lot of money, depending upon your entrepreneurial flair of course. Become a YouTuber: If you sing, have something new or funny to say or are able to create original and thought-provoking videos, you could have a career on YouTube waiting for you! I am not saying that all of us can become AIB, Superwoman. Sanjay Thumma or Sanam. However if you choose the right niche and you have something new and genuinely original to offer…if you have talent, you can really make money! Start a blog, become an influencer: I’m not saying that every blog will get a readership and am certainly not suggesting that it’s easy to monetize a blog. However it is Those with significant numbers of followers on Instagram, Twitter and so on do have a very real chance of becoming influencers. Genuine influencers are well paid by brands to produce promotional content, create sponsored posts, drive traffic to websites and make endorsements. Become a professional photographer: Online stores, blogs, news services and other websites are constantly looking for images for illustrative and other purposes. They typically buy these images from services such as Shutterstock.com, Getty images, shutterpoint, iStock, Fotolia and other similar online services. You too can turn a hobby into something lucrative by taking quality pictures and selling these. You can freelance for businesses or take pictures and sell to these stock image providers. Try natural vistas, flowers, people, fashion, wildlife, artistic images, automobiles, pets and more. Keep a camera handy at all times…who knows what you may capture! Teach/tutor others: In the past, you went to people’s houses to tutor their kids or the kids came to your place for tuitions. However, now, you can tutor children online…in India or anywhere abroad. You could coach kids or adults in a particular subject, help create projects and complete assignments…all via Skype or similar services. Opt for a monthly or weekly payout direct to your bank account. Provide legal services: Whether you’re a fresh graduate from law college or have experience working with a firm or a senior, you can provide legal services from home. You can do research to find the appropriate case law to support a particular legal position, draft notices or legal documents (agreements, contracts, sale deeds, conveyances) and much more. Offer management and financial services: Help create strategic business plans, offer bookkeeping and accounting services, offer services relating to corporate finance and investment banking, create financial solutions for startups, put out a stock market newsletter, offer statistical services…there are so many options for all the financial whizzes out there. You can also actually make a living buying and selling on the stock market (you can also have a period of penury though, so consider whether this is a risk you want to take). Write songs: People have requirements for someone to write song lyrics or to create music, to make advertisement jingles and so on. If you are poetically or musically inclined you may be able to do this part time or even full time! Freelancing websites often post projects with such requirements. You can also check social media to find out about people and projects with these requirements. Become a voiceover artist: This is not an easy niche to break into if you want to make serious money. That said, there is a very diverse requirement for voiceover artists: ad jingle makers, documentary filmmakers, YouTube video creators, dubbing for regional films or foreign cartoons, businesses, ecommerce websites. Start small, persevere and you could then start to make some real money here! Other online money making options: Websites such as Swagbucks pay you to conduct surveys, Usertesting.com offers money to test websites, IZEA pays to tweet, take pictures and blog online. There are other such services such as GlobalTestMarket, E-Poll Surveys and Survey Club as well. These will make you a bit of extra money to supplement your income; however, you may want to hold on to your day job as well. These are more of an adjunct to your online moneymaking venture and not something you can rely on as a steady, single source of income. Do several of the above! There is no requirement for you to restrict yourself to any one of the above ideas. You could dabble in several at the same time. You may surprise yourself by discovering some hitherto untapped potential or talent within you. Over time, you could see which niche suits you best in terms of revenue generation, the growth of your online professional profile, the network and reputation you build for yourself and in terms of what you enjoy doing most. 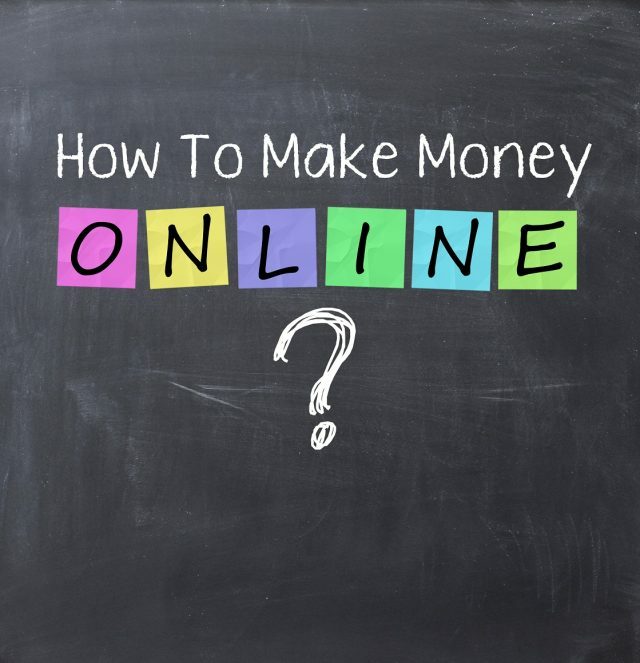 You can start any of these online money-making propositions on a part-time basis while you still hold down a conventional job. Soon you may be doing well enough to say a joyful goodbye to your day job (or unemployment) and embrace online moneymaking full time!